Tetyana Oleksyivna Afanasieva-Erenfest’s name (19.11.1876 – 14.4.1964 , in western literature - Ehrenfest-Afanassjewa) is little-known though she contributed a lot to the development of sience. Her ande her husband’s, Paul Erenfest, article «Conceptual foundations of the statistical approach in mechanics»(1911) wrote for «The enceclopedy of mathematical sciences» made to order of Felix Klein , is one of the most cited entries of the statistical mechanics. The division of the second law of termodynamics into two independent laws: the principle of existence of entropy and its growth are firstly sound in her article «One-sideness, inconvertibility and the law of degradation of energy» (1928) . In the following article named «The axiome of infrared link» the zero law of thermodynamics is firstly formulated. The alterity of two kinds of noninvertibility, necessity of what is realized by everyone, is mentioned there. Also, the difference of two types of inconvertibility, the necessity of which is not realized nowadays. Tetyana Oleksyivna made a substantial contribution in the development of the theory of resemblance : in 1925 she took out two theorems of these theory for the analogy variant of any natural phenomena and actually finished the creation of the base of the theory. She was a leading pedagogue , she developed an original system of teaching of geometry at school. In 1924 she published a brochure «What can and has to give the education of geometry and mathematics» which influenced the teaching of mathematics in the dutch schools. In this brochure she substantinated the idea that children from 10 to 18 can teach math the best in three etaps : firstly instinctively ( by the way of teaching the environment and its simple properties), than systematically ( by the detection of consistencies) and, finally , axiomatically – by proving the theorems on the base of axioms. Tetyana Afanasieva was born the 19th November 1876 in Kyiv. In the 2-year old age she lost her father and has been grown up in St Petersbourg in her uncle’s family – Peter Afanasiev , engineer at first and then a professor of the technological institute. In 1900 she graduated the mathematical faculty of physico-mathematical department of St Petersburg’s high woman courses with the gold medal. In 1900-1902 she had been working a math teacher in the woman gymnasium and, at the same time, in the high cources for woman. In the spring of 1902 she moved abroad for her physics and math perfecting. At the Gettingen university she wisited David Gilbert and Felix Klein’s lections. There she met Paul Erenfest who studied in Vienna earlier , but went to the Gettingen university for some time. On 21th December 1904 they got married in Vienna. 4 children were born within their marriage: Tetyana (1905-1984), Paul (1915-1939), Halyna (1910-1979), Vasyl (1918-1933). P.Erenfest has completed a dissertation with a distinction in Vienna in 1904. His opponent, L. Bolzman, highly appreciated his work. Athwart that , Erenfest could not find a fixed place of business for a long time. So, in autumn of 1907 the family moved to St Petersbourg. Tetyana Oleksyivna recommenced to teach the mathematics in the gymnasia and the high woman courses and Paul could not find a work, though he passed magister’s degree diploma step by step, as it was wanted. In ffive years he had lections of mathematical physics in the Polytechnic institute throughout only 2 semesters off-the-books. He actively cultivated science. He published some pieces – on his own and with his wife. Besides that , Erenfest’s had organized the study group in their appartament, where , twice a week, the young physics and mathematics discussed the actual physical problems. A. Joffe , D.Rozhdestvenskiy, V. Mitkevich , the future professors A. Fridman , Y. Tamarkin and others were there . 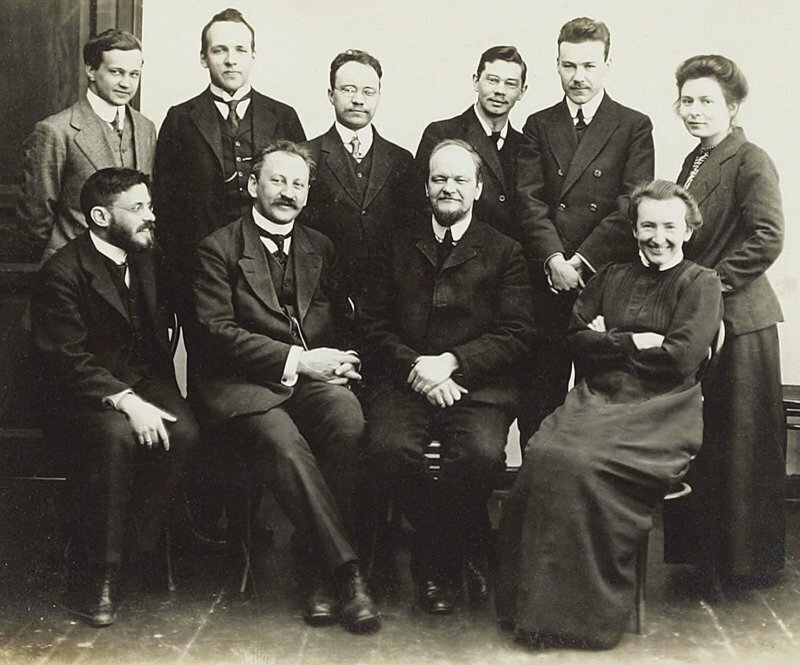 This group has a huge influence on the development of theoretical physics in Russia and the Soviets. In the beginning of 1912 P. Erenfest traveled through the Europe to find a work and sent his and his wife’s piece from the Math’s encyclopedia for the leading European physics. Nobel laureate , G.Laurenz , have seen this piece, proposed to P.Erenfest to become his disciple in the theoretical physics in Leyden’s university. In onctober 1912 the family moved to Leyden. Erenfest lectured electrodynamics, statistical physics, quantum theory. Also, he organized a weekly classes of theoretical physics , where was born such a great physics as G.Ulenberg, H.Kramers,Y.Burgers, S. Gaudsmith, etc. In 1914 Erenest’s had built their own house in Leyden, on the Rose road, in the neoclassical style proected by Tetyana Oleksyivna ( nowadays – the sample of architecture). There were a room for guests in the house. Once, Erenfest demanded onde guest to make a signature on the wall of this room. It became a tradition and in 20 years , a couple dozens of signatures had appeared there, especially 15 signatures on Nobel laureates – M.Plank , A.Einstein, N.Bor , V.Heisenberg, V.Pauli, M.Born, E.Schredinger, P.Kaputsya,I.Tamm’s, etc. Get homesick and to realise herself as a teacher, T.A.Afanasieva-Erenest in 1926-1933 went in the Soviets every year. 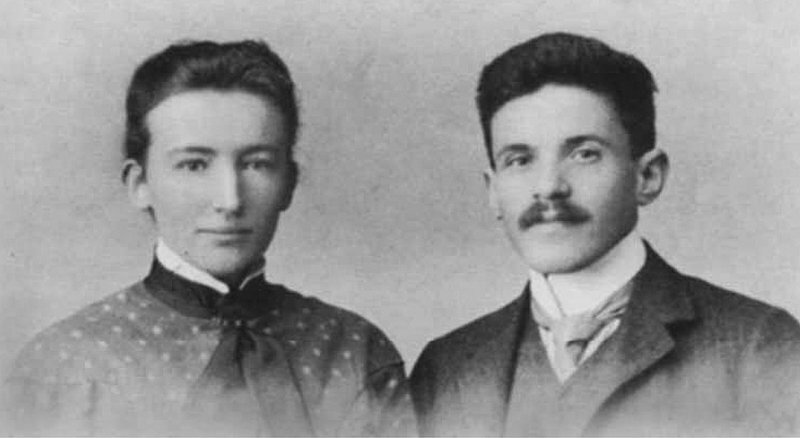 She lectured mathematics and metods of its teaching in the teatchers college in Simferopol (1927-1928), in Gorsky practical institute of the popular schooling (Orjonikidze city – Vladikavkaz) ( 1932-1933) was a professor of The second university of Moscow (1931). Paul Erenfest has also maintained the conacts with the sovietic physics, sent them some literature , organized the probation of the young scientists in the European universities and laboratories. In the beginning of 30-s , P.Erenfest had often sank into a depression . He wirthed with the Hitlers rise to power in Germany in 1933 . He helped physics who were fired out from the universities to arrange .He was also oppressed by his younger son , Vasyl, was brainsick and resided in the appropriate hospitals most of the time. Being remained at a low ebb , P.Erenfest shot his son and himself. In 1939 their elder son Paul who since his childhood demonstrated great results in physics, studied with P.Oge in Paris and since 19-year old age published multiplicity of pieces about the researches of space rays in the famous science journals, had died in avalanche in Alps. The elder Erenfest’s daughter , Tetyana Aardenne became a mathematician. Halyna van Bommel-Erenfest became an artist. With her husband ,artist Jacob Kloot, she was an illustrator of the popular franchise for children, where they were known as El Pintor. During The Second World War the german occupants had prisoned Halyna wherer she lost her baby and her husband died in the death camp Sobibor. Despite all the hardships, Tetyana Oleksyivna saved her creative activity until las day. In 1956, at the age of 80, she published a monography of the thermodynamic principles and , 4 years ago a new book of teaching techniques. Her biography and scientific heritage over the last years attract attention o bigger amount of scientists from different countries. In the second issue of journal «Science and scientology» of 2003 the article of A.S.Lytvinenko about Afanasieva-Erenest was published. Hopefully, The book about her would be published in Kyiv.